Whether you own one sword or a whole collection, you need a way to display them that matches the beauty of each blade. 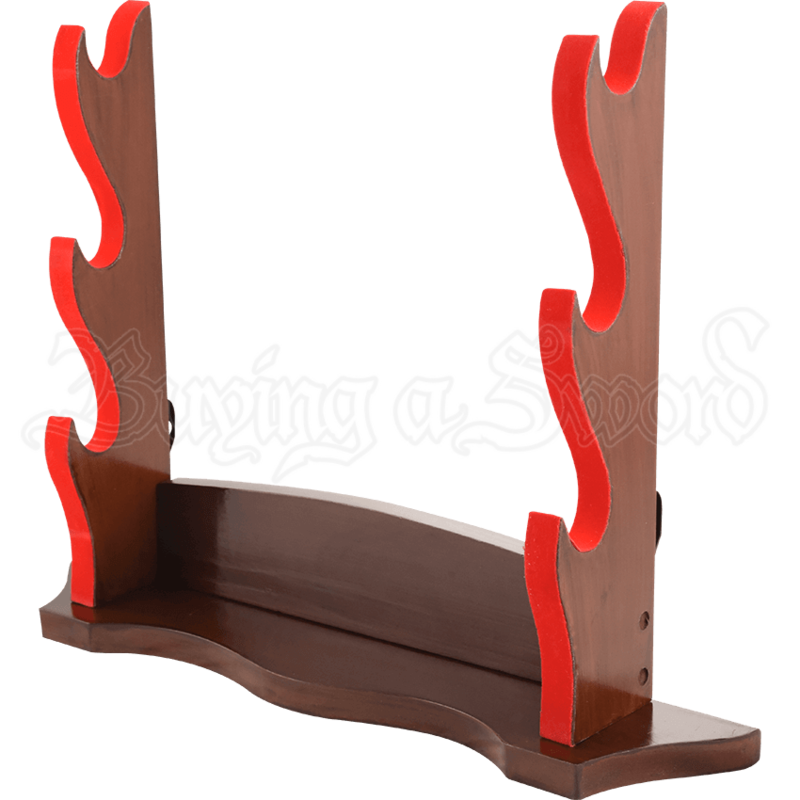 Proudly show off your swords using the Three Tier Sword Stand, a wooden stand with room for up to three weapons. 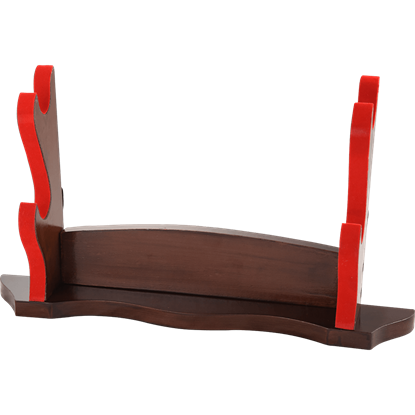 This sword display stand has a chestnut-colored finish accented with bright red felt. 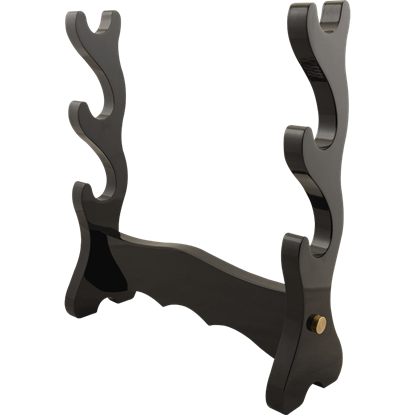 Great for holding a wide variety of swords, the wide base guards against toppling. 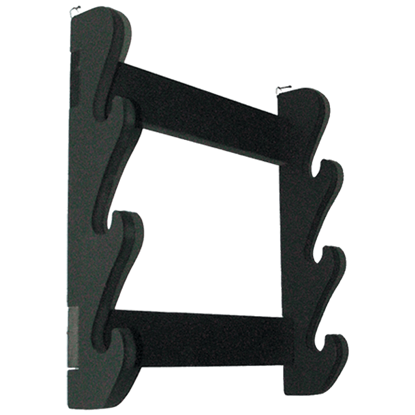 If you so desire to display your swords on a wall, this sword stand also has metal tabs on its back for securing to a wall. 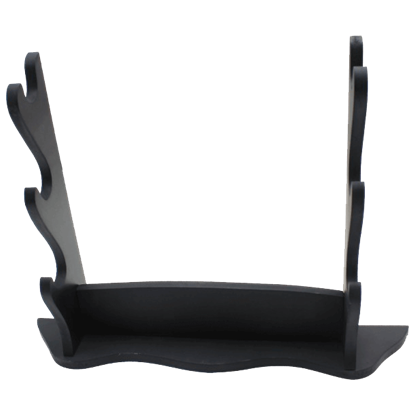 Stylish, useful, and space-saving, the Three Tier Sword Stand makes the perfect sword display accessory for anyone with a sword. If you need a way to display more than one sword, or you are planning on starting a sword collection, the Three Tier Sword Display is the perfect way to show off your favorite blades, whether mounted to a wall or placed on a table. When decorating your home, your passions in the world must shine through! The Triple Sword Table Top Stand provides an excellent way to display your love of oriental weaponry in an elegant piece that honors ancient Japanese design! When you display your swords, you want the display to be about the weapons, not about the stand. 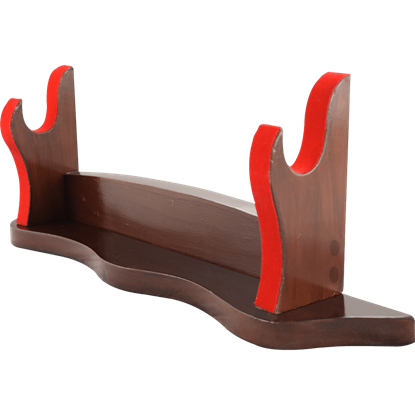 This Triple Sword Wall Mounted Rack traditional rack, possessed of a sturdy design to ensure that it holds three swords with ease. 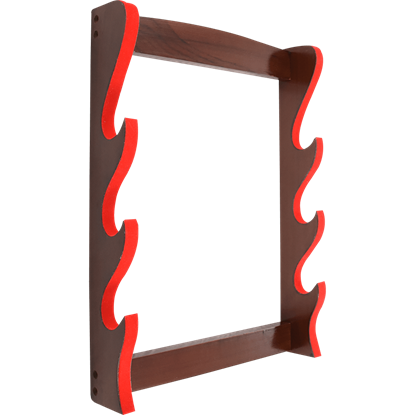 This solid wood Three Sword Wall Rack will display three swords in your home or office. 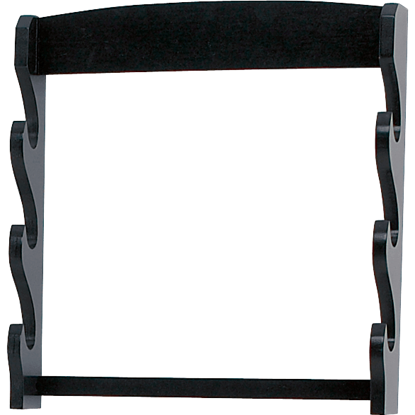 The three sword wall rack has a black finish making it a beautiful display for your prized swords. In feudal Japan, it was a traditional practice to place your katana and wakizashi on display in your home during times of peace. If you are hoping to follow this ancient model of respectable conduct, then you need the Two Tier Sword Stand. Your sword is a beautiful and formidable weapon that has stood by you through many a trial. When not in use, it deserves more than being tucked away in your closet. 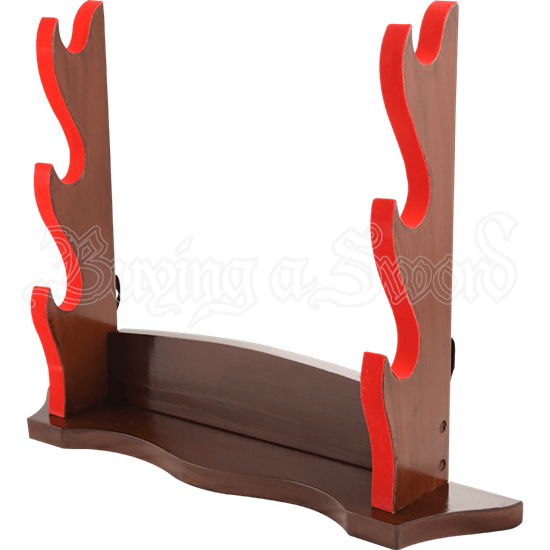 Put your sword on display for all to see with the One Tier Sword Stand.